The micro/nano bubble generator is using a simple method to solve micro bubbles in a liquid. This bubble generator uses the properties of the vortex pump turbine and effectively solves gas with a liquid or two liquids, and adding it under pressure into a process. 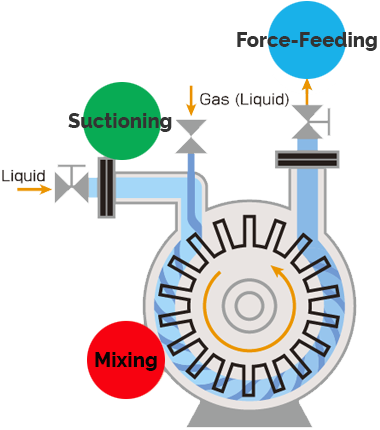 A device that can be useful for efficient mixing and dissolving of the gaseous products in fluids. 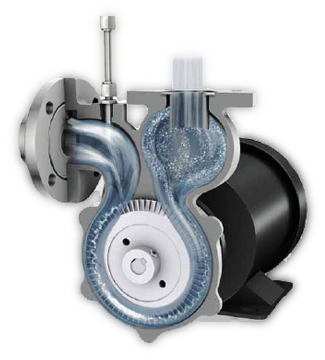 It is for this purpose equipped with a special impeller and can be used for continuous operation.